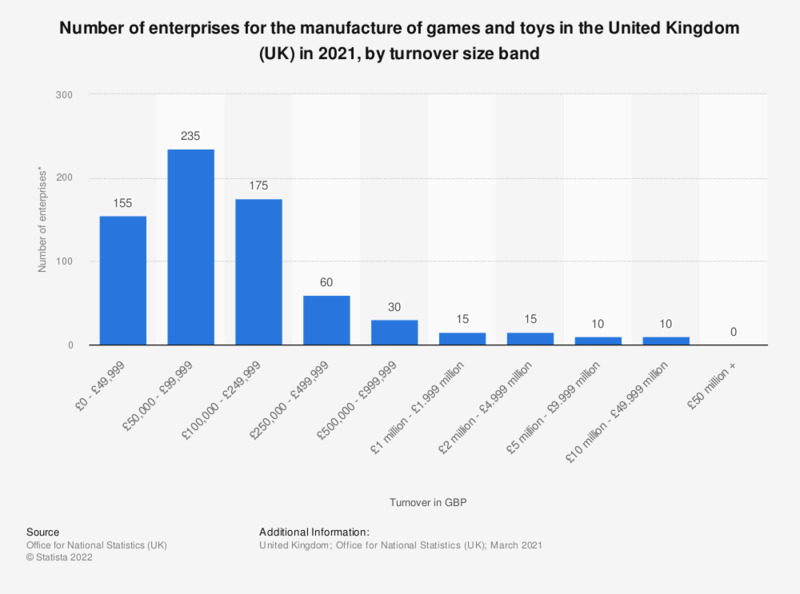 This statistic shows the number of VAT and/or PAYE based enterprises manufacturing games and toys in the United Kingdom for 2018, by turnover size band. As of March 2018, there were 15 enterprises with a turnover of more than 5 million British pounds. Standard Industrial Classification (UK SIC 2007) Division 32.